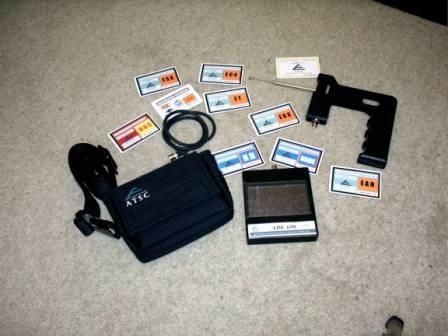 Last week, the UK finally brought criminal charges against Jim McCormick, of ATSC, Ltd., for his role in the manufacturing and distribution of his worthless “bomb detectors.” These devices — the ADE-651, ADE-650, and ADE-101 are the three ‘products’ identified in the charges — are composed of nothing more than an empty plastic casing with an antenna glued into one end, but they are sold to governments worldwide under the absurd promise that the devices can detect drugs, bombs, guns, and diamonds at miraculous distances. Although in 2010 the UK finally banned the sale of these devices to Iraq and Afghanistan — where they were endangering the lives of UK service members — in the two years since that ban went into effect, sales of fake bomb detectors have continued unabated to other countries around the world, including Mexico and Thailand. Avon and Somerset Police have confirmed that a 55-year-old man, who lives in Somerset, will face six charges under the Fraud Act (2006). The decision to charge James McCormick from Langport, follows consultation with the Crown Prosecution Service’s Central Fraud Division.. This charging decision follows a complex 30-month international investigation led by Avon and Somerset Police. 3. James William McCormick, between 15 January 2007 and 12 July 2012, had in his possession or under his control and article for use in the course of or in connection with a fraud, namely an ADE 651 device. Contrary to section 6 Fraud Act 2006. Gary Bolton faces two counts contrary to sections 2 and 7 of the Fraud Act 2006, relating to a device called ‘GT200’, which it is alleged was dishonestly represented as capable of detecting explosives. Samuel Tree, Joan Tree, and Simon Sherrard have each been charged with one count contrary to Section 7 of the Fraud Act 2006, involving an ‘Alpha 6’ substance detection device. Anthony Williamson faces the same charge in relation to an ‘XK9’ device. Simon Sherrard faces an additional count contrary to Section 6 of the Fraud Act 2006 for possession of an Alpha 6 substance detection device for use in a fraud. On July 11 Avon and Somerset Constabulary charged James McCormick with three counts contrary to section 6 and three counts contrary to section 7 of the Fraud Act 2006, relating to three devices, known as ‘ADE 101’, ‘ADE 650’ and ‘ADE 651’. He appears before City of London Magistrates on July 12. Sadly, Carly Wickens, Bolton’s girlfriend and owner of the shipping company which was used to transport the fake bomb detectors is not among those charged. But at their appearances before the magistrate last week all of the accused plead not guilty, save for Gary Bolton, who deferred a plea awaiting sight of prosecution files. It appears that further activity in the case will not take place until September. (b)intending it to be used to commit, or assist in the commission of, fraud. (1)A person is guilty of an offence if he has in his possession or under his control any article for use in the course of or in connection with any fraud. (ii)to cause loss to another or to expose another to a risk of loss. I do wonder if the bulk of the charges were brought under Articles 6 and 7 of the Fraud Act due to the nature of the particular distribution scheme used by the defendants. For the most part, it appears that the GT-200, the ADE-651, the Alpha 6, and all of the other bogus devices, were sold not to unwitting customers who had been scammed into believing that these useless products actually worked. Instead, the fake bomb detectors were primarily sold to foreign governments through special arrangements made with corrupt foreign officials. In most cases, it is likely the officials were well aware that the devices did not perform as advertised, but rather arranged for their governments to purchase the devices in exchange for multi-million dollar kickbacks. This means, for example, that the $10,000,000 USD spent by Thailand on the GT-200 did not entirely go into Gary Bolton’s pockets, although certainly many millions of it did. But the overhead for Bolton’s business consisted largely of bribes and kickbacks as opposed to parts and inventory. The devices themselves cost pennies to manufacture — instead, it was the bribes paid by ATSC, Ltd. and Global Technical, LTD. that likely made up a significant portion of the companies’ costs. Which is likely why charges for fraudulent misrepresentation were not brought against most of the individuals involved in the fake bomb detector scams — because no fraud was committed, in most of their transactions. Both the sellers and the buyers of the ADE-651, the GT-200, and similar devices had full knowledge that what was being sold was a worthless piece of junk. Without the Fraud Act’s “articles for use in fraud” provisions, the actions of these companies might not have been chargeable at all. It is notable that Bolton, unlike the other defendants, was in fact charged with one count of fraud through misrepresentation, which could imply that some of his customers were in fact duped by him. It would be curious to see what the basis for that charge was. But I also wonder why the only claims brought by the UK were charges for fraud and fraud-related crimes — why on earth are these individuals not also being charged for bribery? After all, the Overseas Anti-Corruption Unit is the division of the London police that brought charges against five of the defendants, and that division’s primary responsibility is with regards to foreign bribery actions. So why is the OACU only bringing charges for fraud here? It certainly seems odd, but with the little amount of information released about the cases so far, it’s impossible to say what the significance of it may be. And, although I’m certainly glad to see any kind of charge brought in relation to the fraudulent bomb detector scams, it is disappointing that it took the UK authorities so long to take action against what would appear to be a very simple problem. The articles for us in fraud charges are an open-and-shut matter — there does not exist an even remotely plausible argument that these ‘bomb detector’ devices are any more effective than a chunk of scrap metal would be when it comes to detecting any sort of substance. And yet, up until the day before charges were brought against Gary Bolton, et al., these devices continued to be sold to and used by foreign governments — and thereby endangering the lives of both civilians and law enforcement officers. It raises the inevitable question of whether the defendants still have some behind the scenes defenders within the UK government. Or, at the very least, whether the UK’s reluctance to bring bribery charges is a result of the UK government’s own culpability in assisting with the sale of the these devices. Investigation revealed that Jabiri recommended that Iraq sign five contracts to supply security forces with the detectors for between 23,548.37 pounds and 34,702.86 pounds each even though the real cost of the devices is no more than 61.97 pounds, the senior official said. The first contract, valued at about 11 million pounds, was signed in January 2007 and will be the first case taken to court, the official said. However, it does not appear that charges against al-Jabiri ever proceeded, while Iraq’s use of the fake bomb detectors has not been discontinued. One would think that U.S. military to Department of State would take more interest in this issue, given the cost in lives of both Iraqi and joint forces, as well as the gross waste of funds that originated from U.S. foreign aid payments. Especially given that the devices originate not from some largely lawless state where enforcement against the devices would be difficult, but rather originate from a long-term friend and military ally, the United Kingdom. 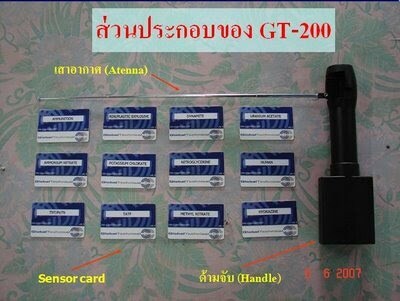 The army will not stop using the GT200 bomb detector despite doubts over the efficiency of a similar device, army chief Prayuth Chan-ocha says. Gen Prayuth yesterday said the GT200 will continue to be used by the army in the far South. He shrugged off the concerns raised in the report by the BBC’s Newsnight programme on Thursday. On the programme, Avon and Somerset Police in the UK said a British man, Jim McCormick, 55, would face six charges including producing and supplying ADE 651 devices knowing they were ineffectively designed or adapted to detect bombs. The Department of Special Investigation will take legal action against the manufacturers and distributors of allegedly defective bomb detectors if state agencies that bought them decline to do so. DSI director-general Tarit Pengdith said yesterday he would wait to see whether the agencies take action first. If they fail to do so, his department would step in, as his investigators had gathered enough evidence. He said the DSI would take both criminal and civil action against the manufacturer and distributors. Here’s to hoping that the prosecutions against the fake bomb detector squad are swift and successful.